There’s nothing shameful about experiencing suffering or dissatisfaction in our lives. 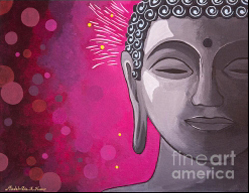 The Buddha taught in the first and second Noble Truth, that life is ultimately dissatisfactory, because not only do we constantly crave for something better, but we aren’t able to feel satisfied once we finally attain the things we’ve desired. If we live our lives with the expectation that life will be rosy, pleasant and secure one day, then we’re ultimately fooling ourselves because unless we address the primary reason for our dissatisfaction (our mind), nothing is going to change and our experiences will continue to be unsatisfactory. In essence, our days and lives are unsatisfactory because of the way we perceive the world and the expectations we have about the role of happiness in it. Further, our dissatisfaction arises because everything is impermanent by nature, so its ‘pleasantness’ can only last so long. When we see people post their ‘highlight reel’ on social media, we shouldn’t feel jealous or envious of them. Instead we should ask the question, ‘What makes them feel the need to broadcast this to the world? Isn’t their experience alone, satisfying enough? Do they need the ‘likes’ of others to feel happy? Are they trying to make someone in their contacts jealous or envious of them?’ You might find that behind the happy façade those people are riddled with insecurities and a feeling of dissatisfaction for their otherwise uninspiring life.